How to stop yourself and don't eat all the cookies? 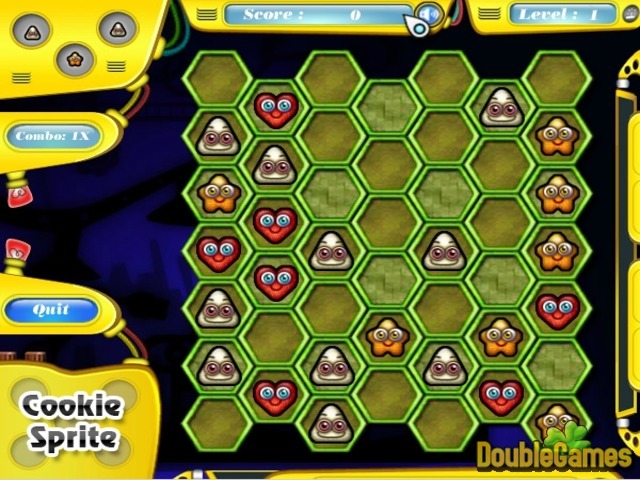 You are going to get to know it in new amazing and addictive online game Cookie Spirit! The main goal is to move the pretty cookies on the table in order to create lines of four of them or even more in diagonal or vertical rows! Make cookies smile, reunite them with their friends. Start playing Cookie Spirit absolutely for free, get points, unlock next levels and have fun! Good luck! Title - Cookie Sprite Online Game Description - More details about Cookie Sprite, a Puzzle game made by GirlsGoGames.com. Play with pretty little cookies, make them smile!